Have you ever left the Christmas tree lights on or forgotten to put a candle out before bed? It's easy to do after a couple of drinks. In the video below the room is turned into an inferno with toxic smoke in less than a minute. Would you be able to get your family out of the house in time? Christmas should be a time for fun and celebration. Follow our advice to ensure your Christmas is safe and happy. Keep candles, lighters and matches out of children’s reach. Ensure candles are kept away from cards, decorations and furniture which could catch fire. 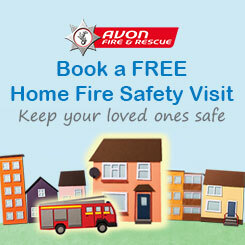 Take time to check on elderly relatives and neighbours this Christmas as they are at greater risk from fire.